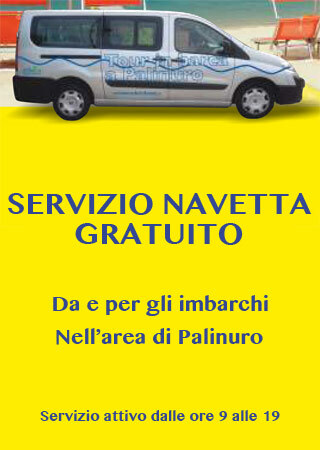 The company “Servizi Quadrifoglio Palinuro”, based in Palinuro, Piazza Virgilio, 1 – operating in the tourism sector since 1995, deals mainly with sea excursions and boat rentals, motorboats and inflatables. Among the many excursions (even personalized), the one reserved for the Capo Palinuro Marine Caves stands out. The excursion by boat will make you discover enchanting and unique sceneries in the world, in the marine stretch that includes the promontory of Capo Palinuro, pearl of the Tyrrhenian Sea. During the boat trip we will visit the main beauties along the coast: Grotta Azzurra, the Finestrella, Scoglio del coniglio, the Arco Naturale and the Baia del Buondormire where the swim is performed. The duration of the excursion is about 2 hours , and takes place on wooden boats, typical fishermen’s boats, stable and safe, conducted by experienced and qualified personnel. This Cape Palinuro boat trip is suitable for everyone . An excursion on the crystal clear sea along the coast of Marina di Camerota, to visit enchanting beaches with fine white sand, inlets and coves, ravines, caves, and headlands that descend towards the sea. The “Servizi Quadrifoglio Palinuro” Company provides an impeccable service for Yacht Charter, Motoscafi and Dinghies, which can be driven without a license; all the means available are very safe, practical and easy to handle. 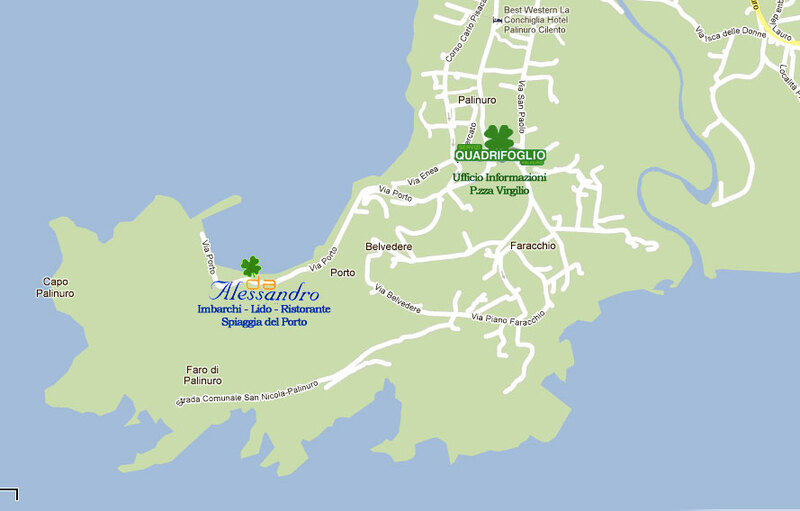 For all customers, the company “Servizi Quadrifoglio Palinuro”, also offers Lido da Alessandro, in the beach resort of the Port of Palinuro. take the Superstrada SS.18 Cilentana, exit Poderia, direction Palinuro Superstrada Mingardina (8Km). to reach Policastro, then the Cilentana Expressway, Poderia exit, direction Palinuro. A Palinuro continue towards the port, on the left there is a large parking lot. At 50 meters descent to the Bar & Embarcadero Restaurant.